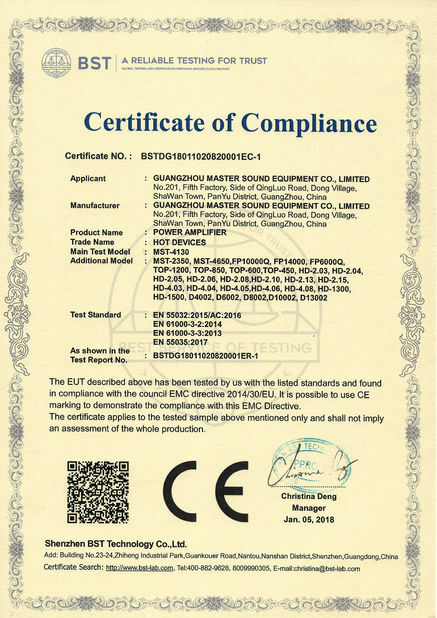 Full range Q1 line array speaker, fixed with neodymium drivers 1.4"(voice coil Φ 3")+2x10", 480W@8ohm, crossover mode is PASSIVE(with built-in crossover in the cabinet, and the crossover is fixed with AUDYN capacitors-the ones d&b, CODA, TW AUDIO and other big brands use in their loudspeakers), compact plywood cabinet, high quality sound, strong fiberglass horn with dispersion(HxV) 75° x 15° . 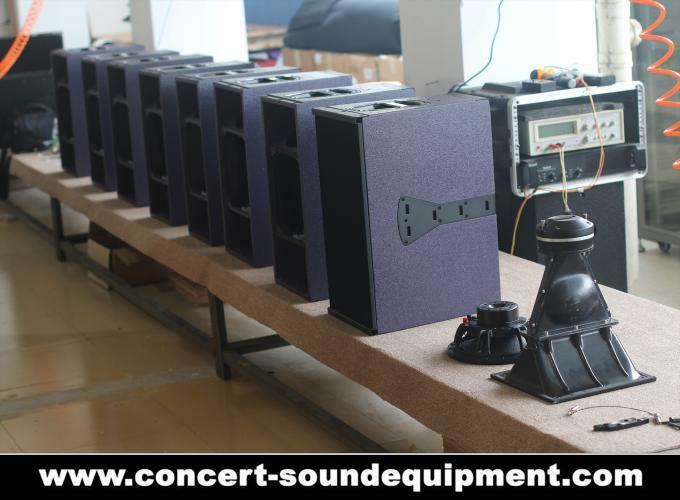 You can fly the speaker system in outdoors and indoors applications, and stack them on ground as well. 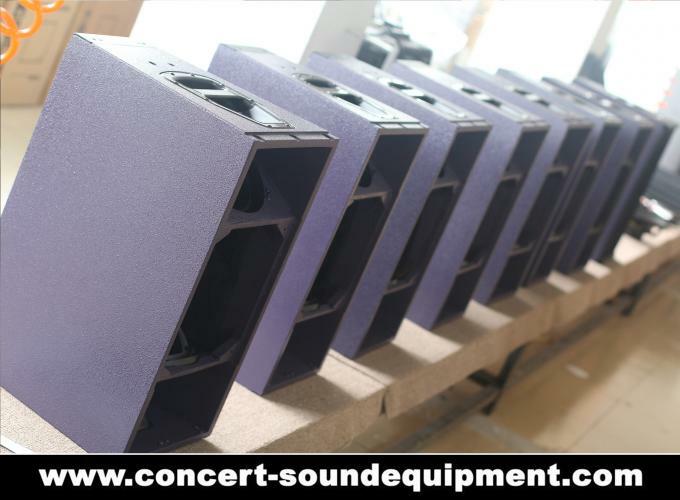 This line array speaker system is designed for applications with high requirements on SPL, sound quality, throw distance, and dispersion.This line array loudspeaker system can be used in outdoors applications like touring concert and living show, and indoors applications like disco, nightclub, conference and church. 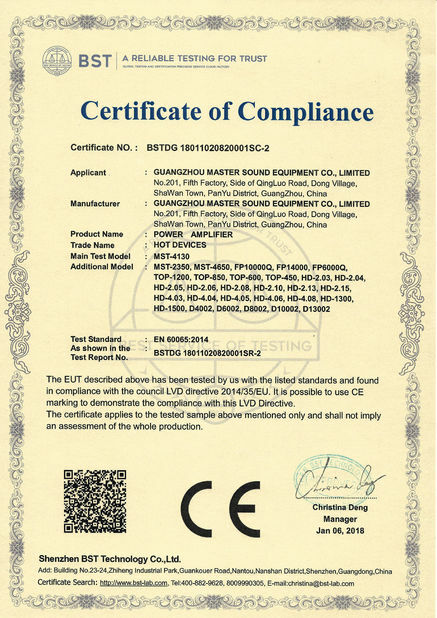 Q1 is fixed with 1pcs 1.4" HF and 2pcs 10" LF neodymium drivers. The cabinet design and cabinet dimensions are exactly the same as original Q1. We just changed the crossover mode to PASSIVE(with built-in crossover in the cabinet, and the crossover is fixed with AUDYN red Q4 series capacitors-the ones d&b, CODA, TW AUDIO and other big brands use in their loudspeakers). Q1 is one full range speaker and the impedance of each speaker is 8 ohm. Q-Sub is one subwoofer fixed with single 18" neodymium LF driver with power handling capacity 600W (rms). 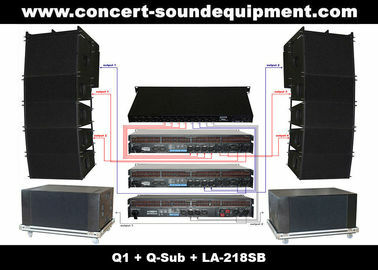 You can stack Q-Sub subwoofer on the ground, but we don't suggest you fly Q-Sub together with Q1. Because, when you fly Q-Sub, there is one big attenuation on its SPL. M-528B & LA-218SB. When you fly Q1, in order to get better sound effect, we suggest you stack dual 18" subwoofers on the ground (for indoors applications, choose direct reflex M-528B and for outdoors applications, choose horn loaded LA-218SB). 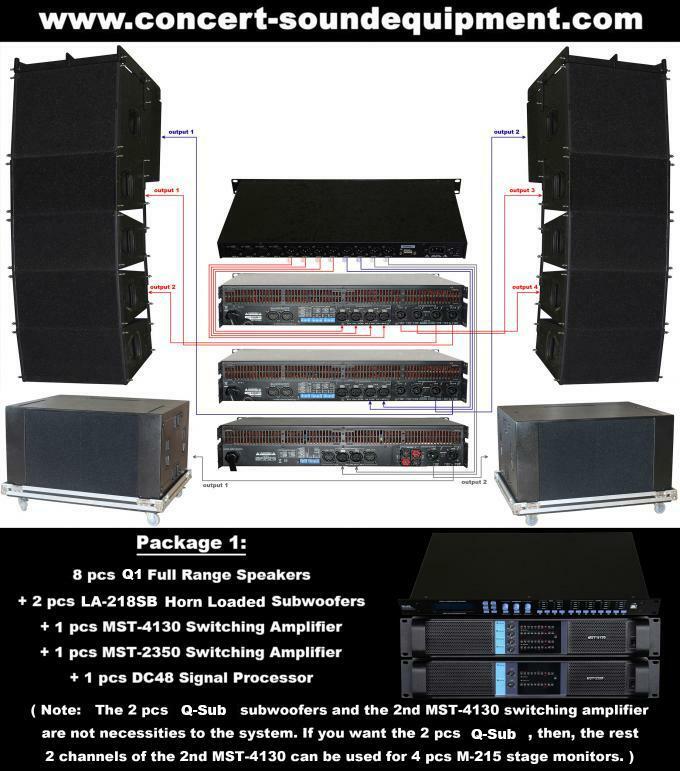 System configuration: To set up Q1 + LA-218SB(or M-528B) line array speaker system, you can choose our most popular 4-channel switching amplifier FP 10000Q(Also model MST-4130: 4*1300W@8ohm and 4*2200W@4ohm) for Q1. 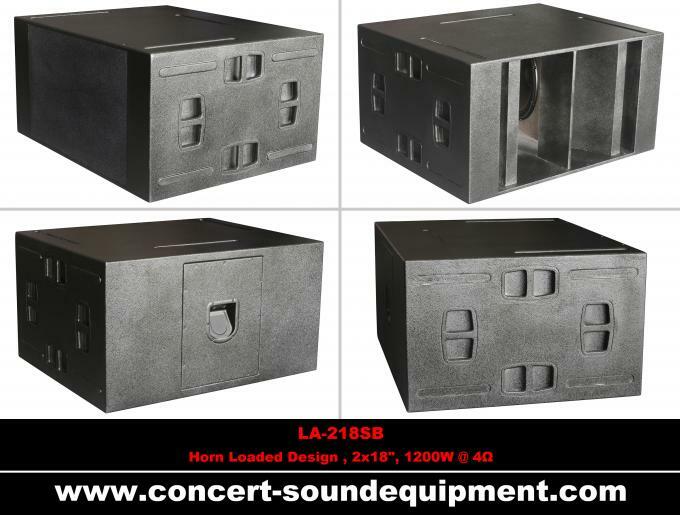 For outdoors applications, use light weight 2-channel switching amplifier FP 14000(Also model MST-2350: 2*2400W@8ohm and 2*4800W@4ohm) to drive horn loaded subwoofer LA-218SB. For indoors applications, then use 2-channel analogue amplifier TOP-1200 to drive direct reflex subwoofer M-528B. DC36(3-input, 6-output) and DC48(4-input, 8-output) digital signal processors are available for options according to the quantity of speakers. Black/Gray/White/Purple finish available for different applications. To avoid damage and scratch during transport,according to customer’s requirement,we can put the items in flight cases. Components: 1.4"+2x10"(All Neodymium Drivers) 2x18"